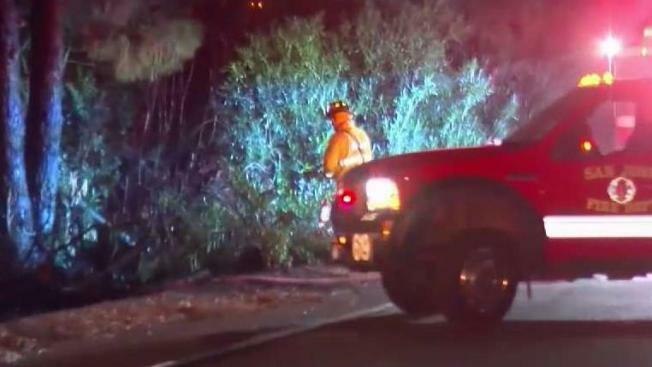 An arson investigation is underway after fire crews have responded to several "spot" fires ignited along Interstates 680 and 280 in San Jose this week, according to the California Highway Patrol. Yet another fire ignited Tuesday night in the area of the Highway 101-Interstate 280 interchange, CHP officials said. They believe it could be connected to a series blazes since Saturday evening. "It appeared that some trash and a shopping cart was set on fire," CHP Officer Ross Lee said of the latest small blaze. Investigators believe at least 13 separate fires along I-680 were the work of one arsonist, and they are searching for the suspect, the CHP said. One person in the area of the fires was detained early Monday and released later in the day. No arrests have been made. 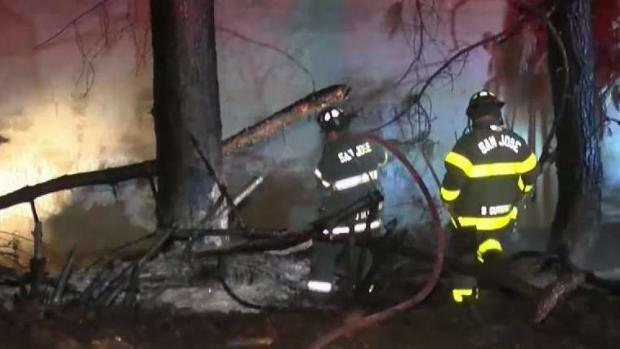 An arson investigation is underway after several fires ignited along Interstate 680 in San Jose Saturday night, according to the California Highway Patrol. Thom Jensen reports. CHP officials said three more fires ignited in the same area Monday evening. In all, they've seen at least 20 similar spot fires in a relatively small area since Saturday, they said. No injuries were reported in any of the fires, the CHP said. "All we can say definitively at this time is that one appears to be intentionally set," Lee said. "Possibly linked to the additional fires over the weekend." First responders initially found three small fires burning Saturday evening along southbound Interstate 680 in the area around Landess Avenue and Hostetter Road, according to the CHP. They also found 10 other small fires burning in the northbound direction. Witnesses told officials that they saw a person leaving the area on a bicycle, according to the CHP. The person was last seen on the Cropley Avenue overcrossing. Residents and fire officials alike are concerned. An arson investigation is underway after several fires ignited along Interstate 680 in San Jose on Saturday night, according to the California Highway Patrol. Damian Trujillo reports. "When you have a fire on the side of the freeway, it seems pretty benign," San Jose fire Capt. Dan Vega said. "But people’s houses do come up to the freeway. You worry about it spreading to a home or hurting somebody." Neighbors living along the freeway were on edge Sunday night. Resident Audrey Fernandez said she was stunned when she went out to her car Saturday night. "There was a lot of smoke covering the sky," she said, adding that the flames came just a few feet from her backyard. "The fire burning our house does concern me." Lee said investigators don’t have a suspect, but they say they are getting close. "There are people who are able to provide some information about a potential or possible suspect and people who may know information about who is starting the fires," he said. "So these are things that are part of the active investigation." 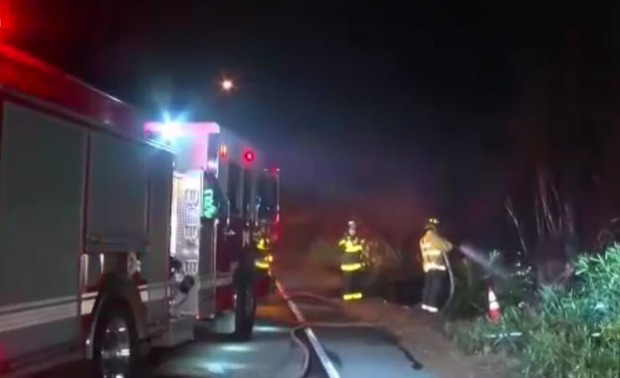 An investigation is underway after several fires ignited along Interstate 680 in San Jose on Saturday night, according to the California Highway Patrol. Bob Redell reports. If anyone has any information regarding the fires, they should contact CHP's San Jose office. NBC Bay Area's Damian Trujillo, Thom Jensen and Anser Hassan contributed to this report.